38 villages, 5,200 families, 30,000 people-the lives of these tribal communities are set to change in next five years, for the better. Communities settled in Chicholi and Shahpur villages in Betul District, Madhya Pradesh primarily take up agriculture as an occupation. Though the land receives adequate rainfall (1083.9 mm) when it does rain, which suffices for agriculture, the villages suffer from erratic rainfalls and are prone to consecutive years of drought. The need of these villages is a land and water conservation solution that would help to store water, irrigate their fields, and teach them effective farming to generate larger produce, for an improved socio-economic standard. 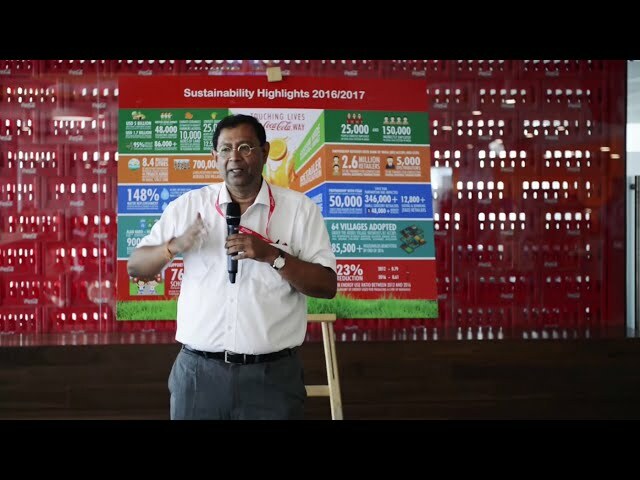 Hindustan Coca-Cola Beverages Pvt Ltd (HCCBPL) along with Advancement for Social Action (ASA)-its NGO partner, government institutions and beneficiary communities launched an integrate watershed management project for this district, in March 2015. The main objective of the project was to promote integrated and community based natural resource development for enhancing the livelihoods of people of the area with special emphasis on sustainable water management and agriculture. Organisation and development of Community Based Organisations (CBOs) including farmer producer companies for market linkages and other services. 75 group based dugout wells will be constructed. 25 group based lift irrigation systems were promoted along with over 1,760 vegetable based-wad in the selected villages. Along with help in technical support, the villagers also needed help in understanding sustainable agriculture practices and generally making themselves aware on how to help themselves. In the initial months of the project 109 Self Help Groups (SHGs) were formed and 64 of those were linked to banking systems, making farmers eligible for loans. For better produce inputs were provided for the cultivation of soya bean and paddy. Also, to make the replication of such techniques widely accepted by farmers, demonstrations were carried out in all 38 villages. Capable community institutions managing local affairs related to natural resources of the area particularly water management. The project is also designed to improve access to safe drinking water for 3700 families. Overall the initiative hopes to rejuvenate the ecosystem of the area.